Living in a city means for many people, including myself, that the only way to have a garden, is to have a container garden. I'm pretty lucky to have a private deck off the back of my house, and while I may not naturally have the greenest of thumbs, I compensate with enthusiasm. 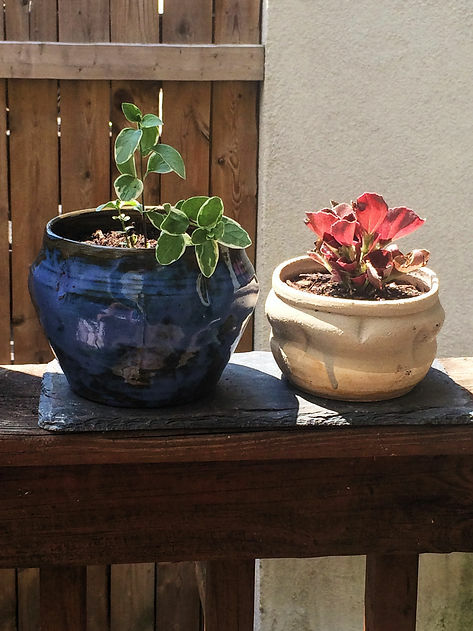 As a potter, I think a lot about the types of containers I pick, and though a lot of pots I use are ones I've made, I have a mix of all three main types of flower pots you typically encounter. Terracotta is of course type of ceramic, essentially a low-fire, unglazed earthenware. The advantage of terracotta is it provides great drainage, as water can escape not only through hole at the bottom, but also the porous body of the clay itself. It also doesn't contain any chemicals that could leach into the soil of your plants (important for herbs and veggies!) and can be found in a pretty large array of sizes, and styles, and even a few different colors, at any gardening center for a pretty reasonable price. 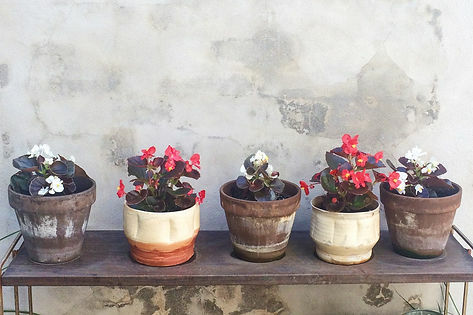 Glazed ceramics has a lot of the same benefits as terracotta, but it will hold moisture longer. I have found that this is preferable for small pots, which are likely to dry out quickly anyway because of their size, and need frequent watering, especially on hot days. They also obviously provide endless possibilities in terms of colors, sizes, and styles. Lastly is plastic, which while it has a few drawbacks, it does also have one benefit you can't find in ceramic, and that is weight. Plastic doesn't offer as nice of an aesthetic as clay, and I wouldn't plant anything you plan to eat in them, because there is the possibility of chemicals leaching into your wet soil as your pot sits all day in the hot sun. However, if you are going to be hanging planters, or if you like to be able to shift you plants around, plastic can work well. 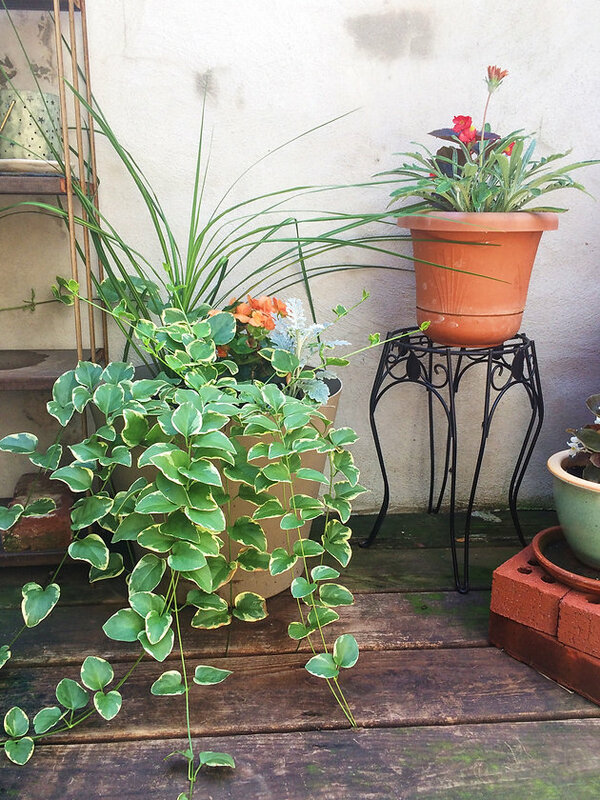 Consider what the needs of your space and plants are when you pick out your containers. For me I've found I really prefer glazed ceramic in smaller pots, my flowers seem to do better in them than the terracotta of the same size. I have big terracotta pots for my herbs and pepper plants though, that I prefer to the same size glazed ceramic that has my tomatoes in it! 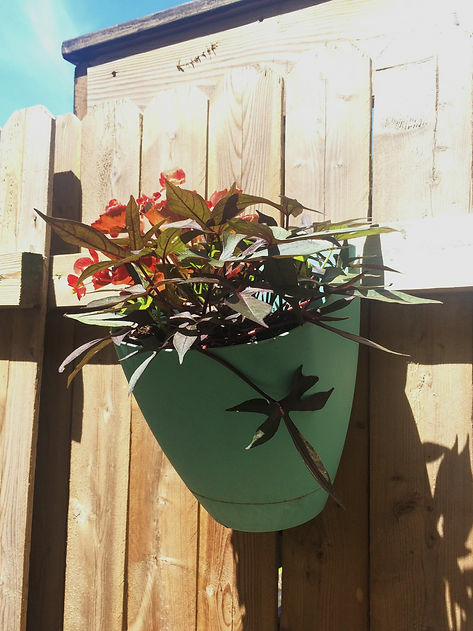 And while I don't care as much for plastic, the little hanging planters I have on my fence work great because they are so light weight, and I don't have to worry about them breaking if they were to fall off (like when my dog jumps up on the fence). I also really like the look of having a lot of different sizes and styles of pots, so try mixing it up like I have! Using plant stands and bricks to raise up smaller pots creates tiers , and really helps create a more dynamic arrangement. 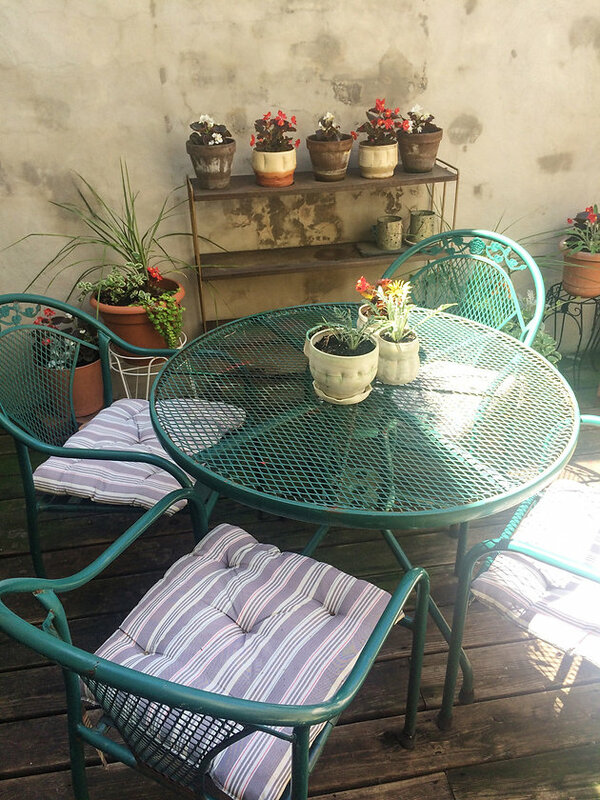 And don't be afraid to think outside the box, my shelves are definitely meant for indoor use, but they are metal and work great outside, and have already weathered a few seasons. Do you have any good container gardening tips? Share with us on social media! And be on the look out for my handmade pots in our next collection.